I really do not know. The game is way better than BF1, which was an incredibly disappointing experience, but I still think the game is as unfitting to the franchise as Hardline. If BFV was the first big shooter from a medium sized game studio I would applaud and praise, but still not buy it. The only argument for buying it, is because it is officially part of the franchise. I'll grant them that the game was fun when playing with friends, which rarely worked seemlessly, and the same can be said about skribbl.io. Matter of fact I played skribbl more with my regular BF mates than I did with the BFV. One friend is buying it, the other one might, if Fallout 76 turns out not so well done, and I have not talked to our fourth guy. In any case all three of us that played the game agree that the game's quality and experience is between awful and mediocre while playing together the only saving grace. As BFV will not really allow or endorse making friends in this game due to the lack of social or community features, I am soulbound to my mates to have any kind of fun. Further DICE has really disappointed me with BF1 with their service, as I bought Premium for a discount before release, which should have acted as a warning sign, then delivered nothing for six months only to give away the premium stuff for free even before the dev cycle was over. That was appalling and a slap in the face, albeit probably very economic for them. The DLCs also fell really short of content suitable for me. Add the new business model, the SW:BF nonsense and I am highly doubtful about the overall quality of content drops. I expect more pink goggles for sale than actually usable gameplay content. Reading this again, it becomes clear that I have nothing really good to say about the game, but I have not played with my mates for a while, who I mostly know through BF3 and 4 and we stuck together ever since. So there you go DICE, people might buy your underwhelming game, because of games you developed years ago and because of experiences they had back then. Add the new business model, the SW:BF nonsense and I am highly doubtful about the overall quality of content drops. I do wonder what everyone who's raving about free dlc is expecting and how much of it they are expecting. The Titanfall2 crowd thought they were gonna be getting a whole bunch of new maps and new titans....1 new map (the other 5 or 6 were remastered maps from the previous game), and 1 new titan. Then, of course there's SW:BF2 (but I will admit, I enjoyed that game, and will come back to it when it gets its first new Galactic Assault map since Krait). I'm buying it. I've enjoyed what i have gotten to experience so far. For me the game is cheap as well, so there's not really any reason not to buy it. I'm fairly certain i will be enjoying the game with the content it is released with, I'm not gonna waste time thinking about what additional content might come in the future, it will simply be a bonus. I do like the "hints" that there might be actual airstrips in at least some of the maps, and hope this means they are putting planes back on the ground for starters. 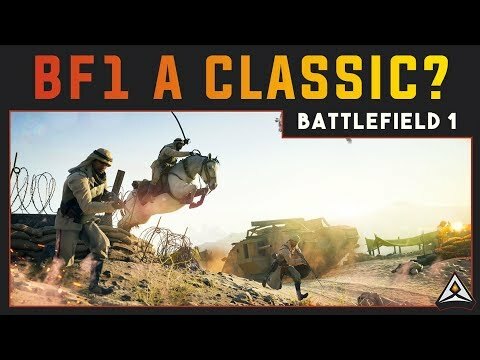 Not spawning mid-air like in BF1. Players would buy dlc or season pass for x2 money if they like vanilla game many of us would buy much more keys for friends or family, players that like FIFA are spending additional 300E at least only to buy fut team and nobody is crying. But games like swbfs, bf1 and bfh were not that fun for 90% of players who bought vanilla that is why 90% or more players who bought vanilla games didn't bought season pass or premium and servers are empty. If they make BFV fun they can make millions selling ww2 memorabilia, skins, collectors editions and stuff like that. When u have fun vanilla game that ppl will play 8h per day and be hooked, u can sell everything dlcs, season pass, new weapons, new skins, in game currency, battle shortcuts...nobody would care. im always pulled in anyway , so im sure I'll buy it. not a chance. same for the 5-6 dudes i always play with. nope. i need to buy it because i have played bf4 to death and need a new bf. went back and played BC2 and 1943 (great wee game by the way). but ffs i need some new chaos vehicle action. by the way the devs were talking in that new youtube video, i may even get it. Yes. Gunplay was so simple. No more RBD giving me phantom "missed shots". That's the baseline expectation for a FPS for me: my bullets go where I think they will. BFV beta did that very well for me. The more they keep messing with the game (now its distant fog/haze) to appease the crybabies, the less likely I will buy. Ehm. Random bullt deviation is still in. Just look at the upgrade system. Each weapon has perks that improve the accuracy standing and moving. Accuracy = spread. Also there are bonuses for hipfire burst lengths and accuracy. What did you think these perks did otherwise? So this means there is base spread, moving spread, spread increase per shot, spread decrease, and in a twitter post a couple of weeks ago, first shot spread multiplier was also confirmed. So that is basically every thing BF4 had as random bullet deviation, plus one mechanic from BF1. What they did remove from BF1 was negative spread multiplier and (probably) spread caused by suppression.So if this is indeed your prerogative of a prime shooter, I would stay clear of BFV. Matter of fact RBD never had much of an effect at accuracy anyway prior to BF1. Especially not for automatic weapons. If you missed you simply were not on point and/or did not take into account the player moving, your bullet velocity, the drop of the weapon. Want an example? The AK-12 had a base spread of 0.2 and a spread increase of 0.084 while the spread decrease per second was 14.7(!). I believe the 0.2 means 0.2° so if you use trigonometry I am pretty sure you can calculate how far you have to travel so that you will not hit a target with a width of 80cm. I am pretty sure that is way beyond your regular fighting distance. I'll buy the game, when it goes on sale during christmas because no one bought the game and they are desperate to get the game sold, even at half off. Like Starwars Battlefront 2. BFV seems like a waste of resources and a missed opportunity/disappointment for Battlefield fans since we don't know when, or if, they will ever make a proper WWII BF game again but in the way a lot of BFers would've imagined it. Plus, the strategic design principle of BFV, we were told, was to unite the 'community'. Well, they definitely haven't done that. If the price came down very considerably and if the game became less of a cheesy console hybrid, then maybe there's a small chance that as a BF fanatic I may find a few shekels for it. Just ditch the old wars already. BF4 is one of the best shooters ever made. BF needs to come back to modern times or even a slight jump to the future. Oh no. DICE & EA was able to unite the community extremely well. It's just that community is now united against them. So you know... They did unite the community, just not in the way they where hoping. Yet in terms of sales it hasn't done as well as BF3 and BF1.